This guest cottage follows the exterior design of centuries-old, traditional Samburu housing, but the similarity stops there. Instead, our structures have much higher ceilings; far larger windows; much more floor space; and en suite bathrooms. Samburu Sopa Lodge is situated 325 km from Nairobi, in the middle of the Samburu National Reserve, next to the Oryx airstrip. 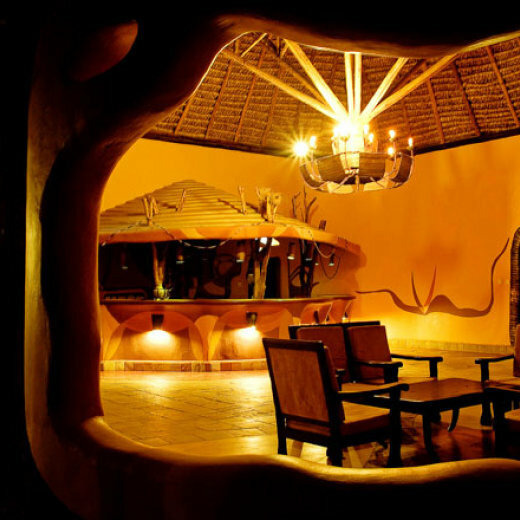 The lodge is built atop raised ground allowing panoramic views of distant Samburu hills to one side and for Mt. Kenya on the other side. The lodge has a waterhole where you can view animals right in front of the lobby and can also be seen from bedroom verandahs as they come to drink water especially during dry seasons. The lodge has 15 cottages forming buffalo horn pattern converge at the public facilities area, leaving the open end to free movement of the wildlife to access the waterhole. The architecture blends in with the area, to keep up with the style of the housing by the local Samburu people. Each cottage has two tastefully appointed bedrooms, each with two queen size beds, shower and private verandah. Local material have been used in the construction, furnishings and interior decoration. High ceilings and space ensure that the rooms are airy and comfortable. Two rooms next to the reception and public areas are designed for the physically challenged. The dining room has a beautiful view, including the furniture which is unusually carved, and the chairs have a cow horn shape on the back rest. Local stones and materials are tastefully displayed bringing nature into the lodge. 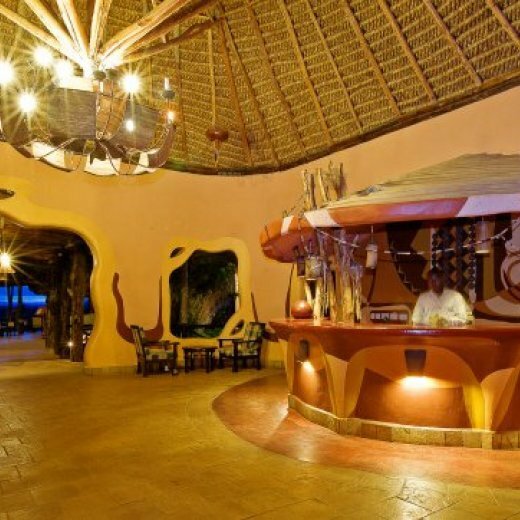 The tastefully decorated main bar is located against the rear wall of the lounge, and is adjacent to the walkway and sunbathing area around the swimming pool with its shaded sunken bar where you can sit as you order for your own drink. A Christmas supplement of US$35.00 per person will apply to all bookings on the 24th, 25th, 26th and 31st of DEC 2015 and on the 1st of JAN 2016.